Breaking for just a moment from the expensive mirrorless hype, Nikon just introduced the D3500, which is a solid, but simple update for its entry-level DSLR photography offering. At $496.95, the new bundle with an 18-55mm f/3.5-5.6 kit lens costs the same as its predecessor. Internal updates are fairly nominal, as the EXPEED 4 processor still pumps out 1080 60p video and 24-MP stills at 5 fps between ISO 100-25,600. The D3500 also features the same 11-point autofocus system, but battery life rated for 1,550 shots on a single charge should help a lot of people never need a second battery. Mostly, this update includes a major ergonomic shift that Nikon says makes the camera more comfortable to use. 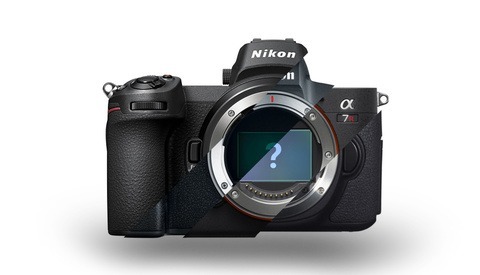 As with its enthusiast- and professional-level Z-series mirrorless cameras, Nikon completely removed all of the buttons its DSLR bodies have always had on the left side of the body and relocated most of them to the right. Naturally, this allows for better one-handed operation so you can use almost all functions without needing to use both hands. Additionally, internal software changes enable a learning mode to teach users about how to use camera settings for creative photography applications. As with the previous generation body, the APS-C sensor features no optical low-pass filter, which, conversely to the negative connotation, means you'll benefit from sharper images on that reasonably large sensor for this price-point. The Nikon D3500 will ship September 2018 in both a one-lens kit with the AF-P DX 18-55mm f/3.5-5.6G VR lens for $496.95 and in a two-lens kit that adds the AF-P DX NIKKOR 70-300mm f/4.5-6.3G ED for $846.95 (UPDATE: The two-lens kit is already discounted $250 — speaking completely objectively, that's a steal). If you're looking for an additional, high-quality, but affordably-priced lens, we highly recommend Nikon's AF-S DX NIKKOR 35mm f/1.8G for general photography or the full-frame AF-S 50mm f/1.8G for portrait photography with this body. [UPDATE]: Pre-orders are now available. No Dual Card Slot? I'm out. You’re not allowed to tell the truth about Nikon! You’ll be called a fanboy or something worse... a truthful person with expectations ! Honestly after the D3300 not much has changed, the D3300 was the better camera, it had mic-input and the flash was alot better! Although, for beginners this new ergonomic design is maybe better? I could not find any mention of low-pass filter at the official Nikon's press release and specs. Wow. Amazing week for Nikon. Sony execs must've been caught blindsided by this announcement and are scrambling for a way to respond to the market challenge. 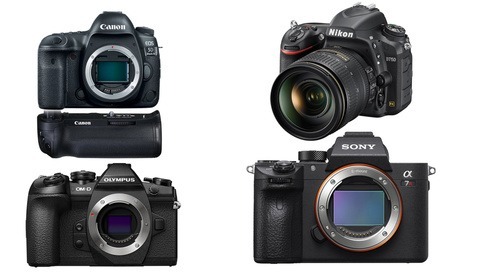 Now we need D5700 with sensor from D500 and D7500. Please Nikon, please. I've got the D5500 and love it as my first DSLR after 18 months of using it and getting quite confident in what I'm doing I think I'm just going to move to the D7500, less megapixels but I want the weather sealing and better focusing. My unsolicited advice, shoot the 5500 until it dies. If you know you're going to get a new body at some point, all the more reason to go crazy with it without any worries. Take this opportunity to take shooting risks you wouldn't otherwise take if you were worried about what might happen to your gear (within reason of course, safety first). 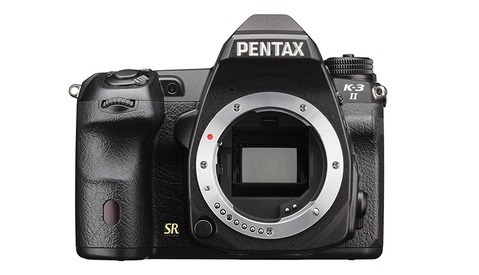 Seems like they also gave the dials at the top the same positioning as the D5000 series. Which is a shame. This actually looks like a pretty fun and capable camera. 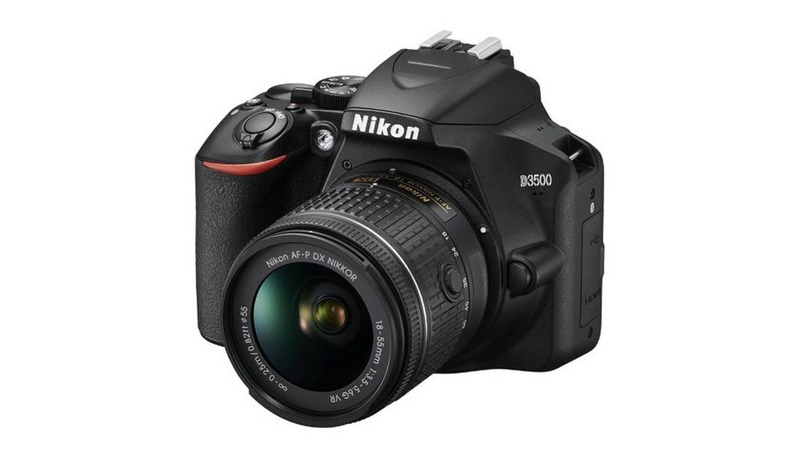 Nice that it's basically an improved D3400 at $150 cheaper (at launch price) though.